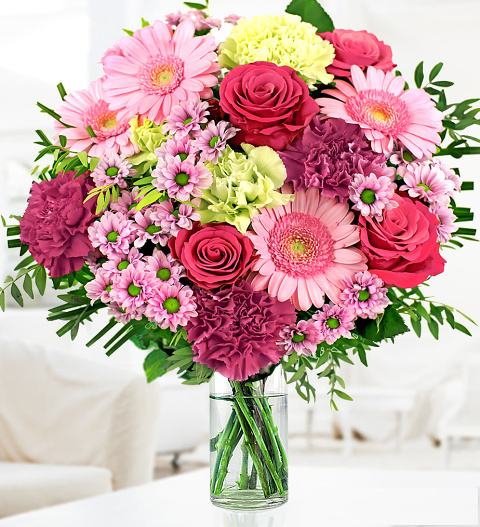 Our beautiful Glorious bouquet is skilfully arranged with beautiful roses, germinis, stallion chrysanthemums and carnations complimented with pistacia. The bouquet can only be received to be fully appreciated. Glorious is a truly stunning arrangement of fresh flowers, dexterously designed by our team of highly talented florists. Chocolates may contain nuts.